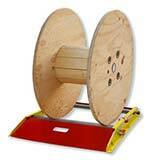 These reel rollers are the ideal storage, dispensing and management solution for most sizes of cable reels. 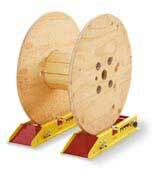 The unlimited width reel roller systems are sold in pairs and can accommodate cable drums with weights up to 6,000 lbs and diameters up to 48" (four feet). 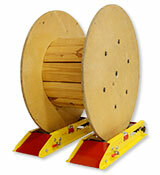 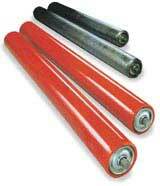 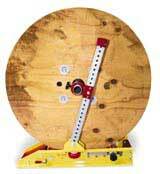 The SMP-RP-27 fixed width reel roller series support cable drums up to 27" wide with up to 3,000 lbs weight. 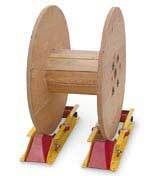 To improve safety and extend the life of your SpoolMaster cable reel rollers, please see our reel roller accessories listed below.